The new CIA drone program will start by collecting intelligence. With the US resuming its unofficial military campaign against Al-Qaeda militants in Yemen, the CIA is reportedly building a secret air base in the Persian Gulf to target militants in the Middle East country. ­Yemen's government says dozens of people have been killed in US drone attacks in the country over the last few weeks, many of them civilians. But despite the criticism, Washington has come up with a plan to build a Gulf base for armed US drones to target terrorists who are suspected of hiding in the Middle East country. The exact whereabouts of the new base are classified and its completion is deemed in an eight-month to two-year period, reports AP. The CIA declined to comment on “allegations of prospective counterterrorism operations,” as The Wall Street Journal cites Marie Harf, the CIA spokeswoman, as saying. 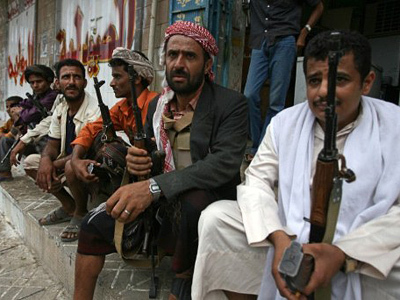 The US has already increased its contingent of CIA officers in Yemen, in case anti-American Yemeni factions take over in the country, which is currently torn by a political crisis. Until the base is complete, the American counter-terror operation in Yemen will still be in the hands of the US Special Forces. Whether they should remain in the country after the new base is there is still the subject of argument in the Pentagon’s war rooms. 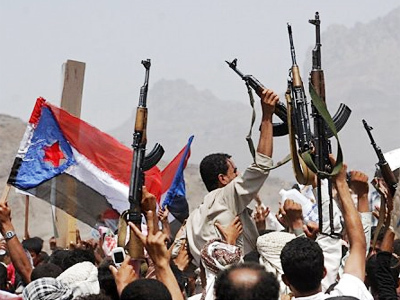 US officials are concerned that the Al-Qaeda powers, having capitalized on the Yemeni political crisis, might shut US forces out. Before President Ali Abdullah Saleh had to leave the country to get medical treatment in Saudi Arabia on June 4, he and his government officially sanctioned US forces to track Al-Qaeda militants in the country, even if that implied air strikes. By contrast, the CIA’s activities will not require such close co-operation with any new Yemeni leaders, as they are provided by different legal terms. The CIA-driven operation would also grant Washington greater secrecy of action. The new CIA drone program will start by collecting intelligence to unfold, with a sufficiently-effective intelligence base, into a targeted killing program like the current operation in Pakistan, says The Wall Street Journal. 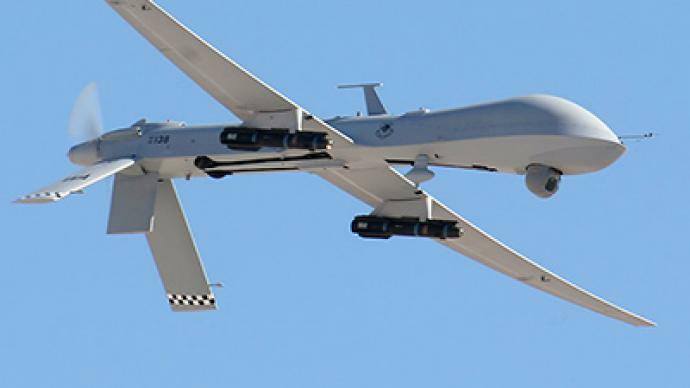 The number of US air strikes, most of them carried out by drones, has mounted in recent weeks. President Saleh approved the use of the strikes back in 2009, publicly declaring them to be carried out by the Yemeni air force. ­According to Britain’s Daily Telegraph newspaper, the UK is preparing to deploy its Apache attack helicopters on board the Royal Fleet Auxiliary ships currently stationed off the Yemeni coast. The reports are also coming from the Apache training base in the UK that maps of Yemen are appearing on computers systems which are being used for training. The newspaper says a Senior UK helicopter commander has made a reconnaissance trip to Yemen to see what the situation is like on the ground. The helicopters are said to be put in place as cover for evacuations of British diplomats and citizens who may be stranded on Yemeni territory if the fighting and unrest get worse. The Apaches will then marshal groups of transport helicopters, which will get the people out of the conflict zone. These helicopters are being widely used in Iraq and Afghanistan and have recently been used in Libya. They are specifically designed to hunt and destroy tanks and for closer-quarters combat, and operate at very low altitudes. 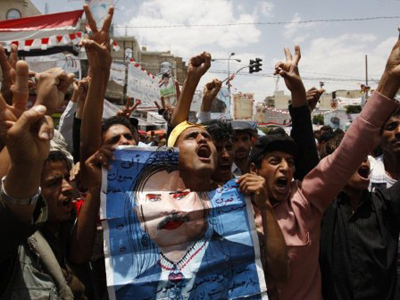 The legality of their use in Yemen remains unclear. “The numbers in the area are far too small for a Libyan-style intervention. There are 80 commandos for some Apache attack helicopters stationed on two British ships off the coast. They were put there to ease the evacuation of the 500 British nationals who were in Yemen. But they could be used for something else. I believe this might be leading into yet another military expedition by Britain in the region,” stated the MP. Corbyn believes the West’s role in Yemen should be to try and promote a political dialogue between the various factions and try to bring back some kind of resolution and peace. 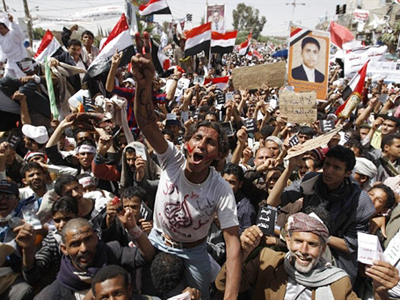 “Yemen is the poorest country in the region. It has the greatest social discrepancies of any country in the world. The last thing it needs is more bombing”.